When you scan student bubble sheets with an unreadable or blank answer, you'll need to verify and select answers to record in your tracker. Student ID number is filled in incorrectly. GradeCam reads two responses for one item, for example, one was not erased properly or crossed out. The response is left blank. When you scan the bubble sheet, you'll see this screen to verify the errors in your student's responses. First, select the student from the Select Student list. Next, select the response for each item to be recorded in your tracker. 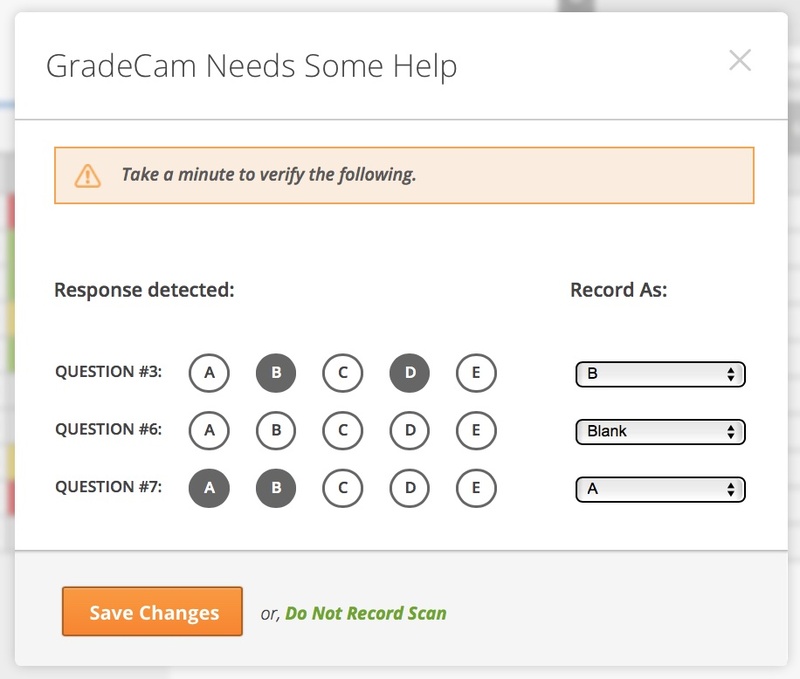 Click on Save Changes to record the responses you selected, or click on Do Not Record Scan if you want to clear any responses from the scan and not record the assessment in your tracker.